What is a glycolic skin peel? There are several different types of skin peel. A glycolic peel is a superficial peel, which is perfect if you simply wish to replenish your skin and achieve a more youthful appearance. * Glycolic peels have no recovery time and you will be able to resume your daily routine almost immediately; if you are interested in a deeper skin peel, stronger concentration of glycolic peels can be applied or we recommend a TCA peel. What is glycolic peel used for? What areas can a glycolic peel treat? Yes. Different brands use varied formulations. 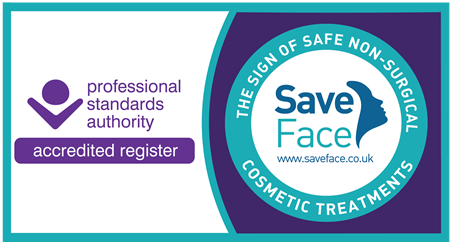 At the clinic we work closely with the brands Dermaquest, NeoStrata and Obagi to provide our clients with the best possible options within the industry to tackle skin concerns. We feel it is important to work with brands that follow our safe skin ethos and who continue to remain up to date with new and innovative ingredients. It is imperative to use the correct skin care products at home pre, during and post treatment to clear away debris and reduce the downtime post peel. Home care regimes vary depending on your skin type and concern but you will always need an SPF 50. The amount of treatments needed varies on the type of peel and the concern, on an average 4 – 6 peels are needed at 4 week intervals. What type of peels are there? There are a variety of different peels to choose from, different types of peels treat different skin concerns and the strength of peels vary. So I would advise to speak with our Skin Specialists who will assess your skin care needs and create a bespoke treatment plan to help you achieve optimum skin health. Curious to know more? If you have any further questions about Glycolic Skin Peels, don’t hesitate to call us on 01344 482 882.